Very Unique opportunity close to downtown Athens and University of Georgia. A long driveway leads you through over 3 acres of peace and tranquil woods. When you arrive at not one, but two different buildings. The main house sits high atop the property with A newly renovated porch and new chefs kitchen that overlooks the entire main part of the property and new carport.The homes cool modern style with multi levels and large oversized fireplaces is ready to welcome you. 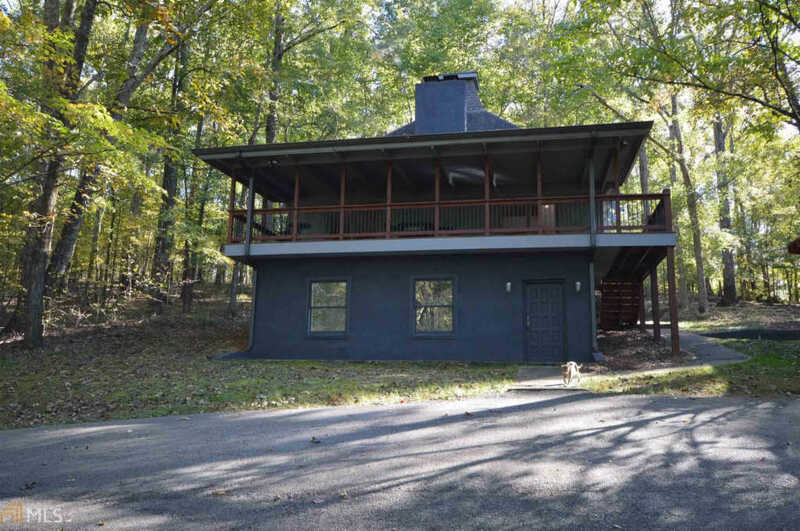 The second building is about 50 yards from the main house that can be used for secondary purposes for instance A rental or in-law cottage, or used for your home business. It has A full kitchen with one bathroom, loft, finishes basement , wood stove for heating.